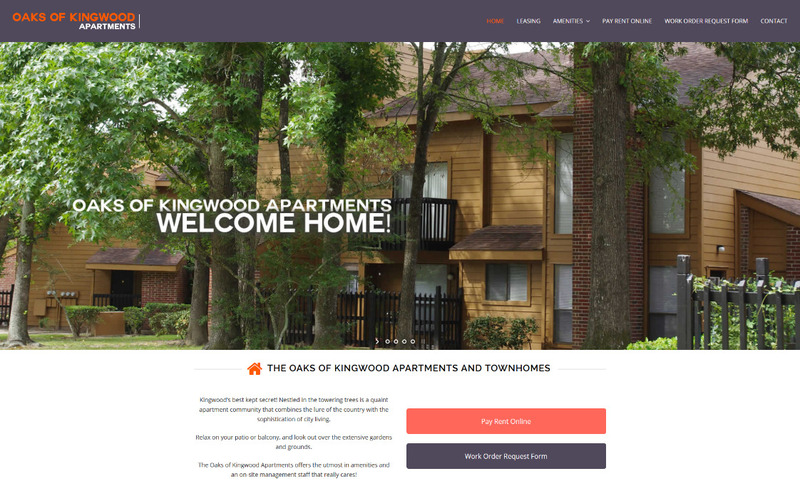 Responsive and clean website design for a property management company. The website includes sections for floor plans, an image gallery showing different types of apartments, a work order request form for tenants, online leasing application, and more. Dynamic WordPress design and it looks great on mobile devices.